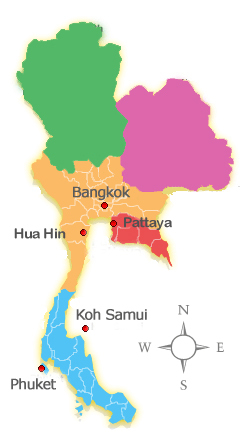 We offer our FREE services in Bangkok, Phuket, Samui, Pattaya and Hua Hin. Contact us for your free evaluation to hear the surgeon feedback. Would you like to get free consultation? Thailand is one of the top three destinations in the world for medical tourism. Last year, nearly 3 million people chose Thailand to get medical treatment or plastic surgery. Cosmetic surgery in Thailand is very common nowadays to address aging of the face or enhance a body part which can be the beginning of a new happier life and better self-esteem. For us, you can get for both basic and advanced cosmetic surgeries. We take you seriously. We offer improvements to the various body parts, face, body and breast, and our hospitals’ strength is because of their highly skilled plastic surgeons and their great patient services in the land of smiles. Your body is a temple and since that is the case it’s up to you to make sure that it stays in the best shape that it can possibly be in. So normally, you would make sure to diet and exercise regularly, however, sometimes that’s not always enough so many turn to Cosmetic Surgery Thailand to reach their goal of looking and feeling as great as they can. No matter what procedure that you need to get done, you can come to Thailand and get the lift that you need so you can feel and look they way you desire. Plastic surgery in Thailand offers a wide range of surgeries that can help you create or complete your transformation process. Traveling to Thailand can help you in the process of accomplishing your desires.Therefore, you can resize, reshape and reinvent yourself and the professional and well trained surgeons will be more than happy to make sure that you get the alterations that you want. You can improve and enhance your appearance or help reduce the process of aging. You can decide to have enhancing procedures, such as tucks and lifts, nips, breast implants or reductions and a number of other surgeries that can give you the change in appearance that you have desired. Cosmetic Surgery in Thailand will perform these procedures and more while at the same time making sure to respect you and your privacy. In addition, to that the procedures that you plan to have conducted are very affordable, preformed in top-notch hospitals and has a staff that is experienced and professional that are available at your finger tips.For these reasons, so many are traveling to Thailand to undergo their transformation. While, it is true that Thailand is among one of the top dentations to go to if you want to have cosmetic surgery as well as get great after care, Thailand is also a beautiful place to visit and has many things to offer as you are recovering from after your surgery. Before the surgery and after, you will get the opportunity to enjoy a new culture that you might not otherwise have. So not only will you have cosmetic surgery that will change the way you and others see you, you can make your experience more enjoyable. During, your stay in Thailand you will have the chance to see and new learn things. You’ll have your choices of resorts and hotels that will best suit your needs so that you can have a full recovery. When you choose to have your surgery in Thailand you’ll get the best and quality care as well as a beautiful place to do it. There is nothing else you can ask for. So making the decision to come to Thailand you get more than just make yourself over and give you the lift that you need to feel great about yourself again. You will also get the chance to see a new culture and a beautiful country that will make your recovery that much more pleasurable. When you get ready to go home, you will be refreshed and relaxed.